Good Thursday. I am blogging from the phone today. 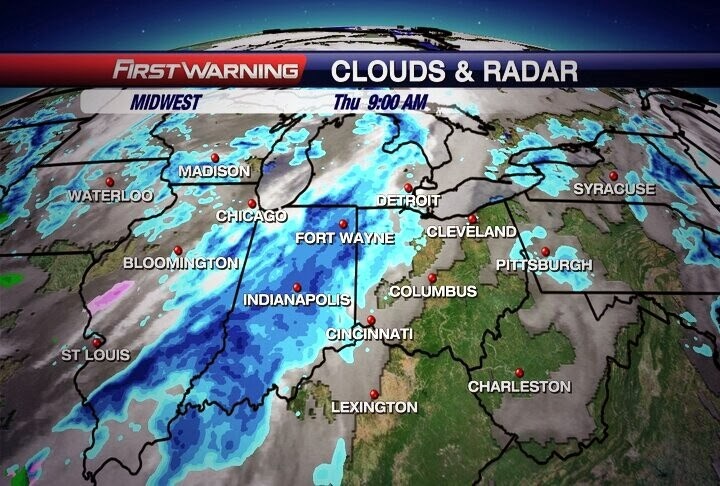 Tracking snow moving in for the late morning early afternoon. More snow will arrive overnight as well. 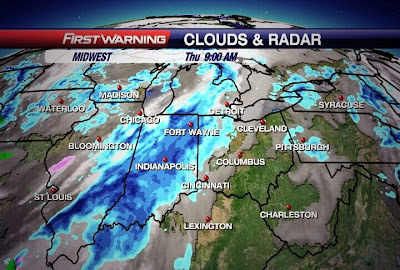 In the two images below the first is the radar and you can see the snow moving through Indiana toward us. 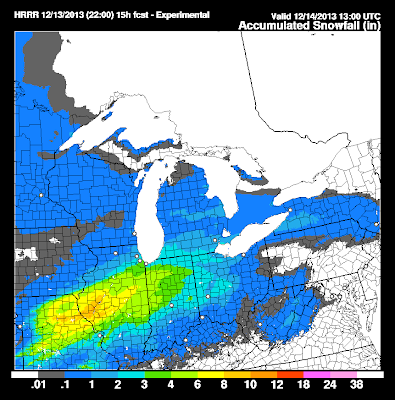 The second image is how much snow the forecast models are expecting to see by 5 p.m. tonight. We will generally see around an inch with some places seeing slightly more than that by this evening. More light snow is expected overnight and early Friday. We see a lull in the action heading into late Friday and early Saturday. More snow is expected for late Saturday into early Sunday. That system could bring a few inches of snow. I will keep an eye on it and let you know but I just wanted to at least shoot out a quick entry for a heads up on the snow for later today. Have a good one!